"I do think that our filibuster made a difference," he said on "CBS This Morning" on Thursday. "Let&apos;s be honest, the Senate had no plans to talk about ending gun violence this week on the floor of the Senate. At the end of our filibuster, I think we made incredible progress to get the items back on the agenda in the Senate this week." 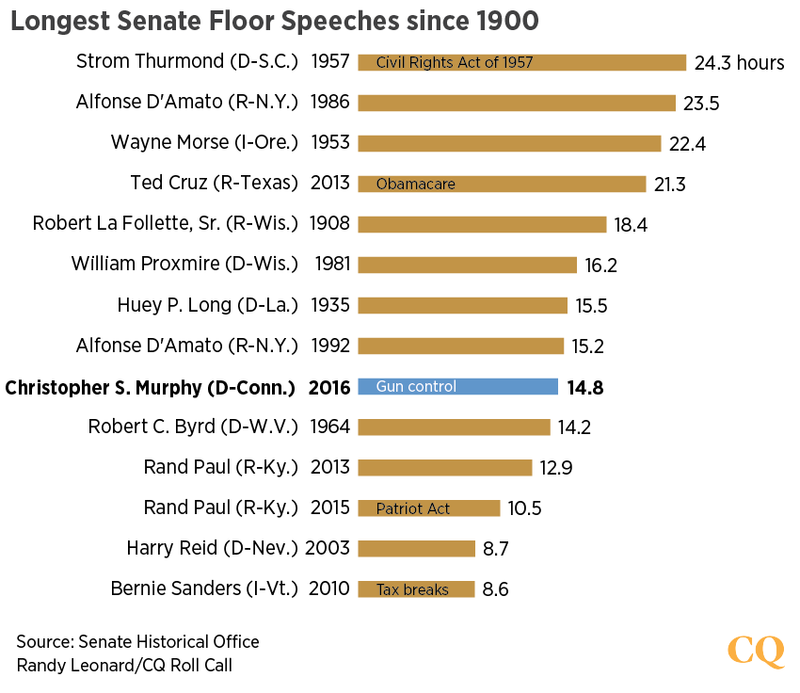 Murphy said he noticed the effect of the filibuster as it was going on. On CNN&apos;s "New Day," Murphy said that Feinstein, a California Democrat, and Texas GOP Sen. John Cornyn are still working on a deal to allow a vote on gun control measures. The Connecticut senator said shootings are "happening every day and we have moments like we did yesterday to create leverage." Contact Smith at jeremysmith@cqrollcall.com and follow him on Twitter @JeremySilkSmith .